ATTENTION: BOOKING FROM 3 DAYS ARE PROVIDED WITH 15% DISCOUNT. We offer you accommodation in cozy and comfortable apartments in Zaporozhye. The apartment has a distinctive design and decoration. For visitors there is free WI-FI access, a large bed with orthopedic mattress, all necessary appliances (from air conditioning to iron and hair dryer). If visitors have a desire to cook on their own, the apartment has a kitchen with all kitchen utensils. Since the apartment is in the central part of the city, within walking distance there are various cafes and restaurants. Description of the room: The apartment is equipped with necessary appliances. Check arrival: from 14:00 - 22:00 hours. Check leaving: to 07:00 - 12:00 hours. The kitchen is equipped with a stove, an electric kettle, a refrigerator and necessary utensils. 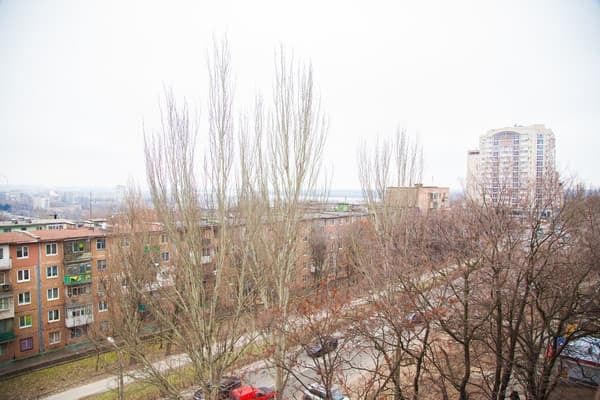 The apartments are located in the very center of the city, a 2-minute walk from the Soborny (Lenin) Avenue. Within walking distance are the Festival Square, the supermarket "ATB", the Baida cinema, nightclubs, banks, restaurants and cafes. From the bus station and the railway station, you can take a minibus taxi №61.